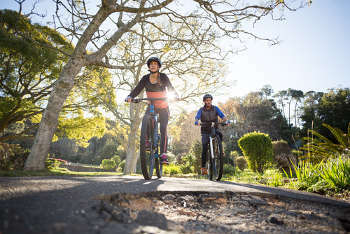 Councils across the UK have paid out at least £43m on compensation claims from potholes over the last five years, according to a cycling charity. The figure of £43.3m includes the cost of compensation claims and legal fees (nearly £10m), but not staff time, which could see the total cost rise by as much as four times to more than £170m. Last week the Annual Local Authority Road Maintenance (ALARM) survey reported that councils in England and Wales paid out £7.3m compensation in the last year, whereas staff costs spent on claims per year was £21m. Cycling UK pointed out that the figure is equivalent to 17% of the Government’s five-year £250m Pothole Action Fund announced in 2015, although that has now received a £100m cash boost. The findings are based on an investigation conducted by the national charity, which submitted Freedom of Information (FOI) requests to 212 highway authorities in the UK, of which 156 responded. Sam Jones, Cycling UK’s senior campaigns officer, said: ‘Cycling UK’s research reveals only a glimpse of pothole Britain’s human cost. It’s clear more people are being killed and seriously injured while out cycling each year due to years of persistent under investment in our rotting local road networks. ‘The Government should concentrate on fixing the roads we have first before building new ones. Councils need provide enough funding to adopt long-term plans for roads maintenance, rather than pursuing a policy of patching up streets only as they become dangerous. The FOI requests included questions on the amount of compensation paid out to cyclists and motorists, the number of successful claims by both groups and the amount authorities spent on legal fees between 2013 and 2017. Cycling UK said the high level of compensation for cyclists, which are 13 times more than for drivers, suggests that cycling claims are much more likely to include personal injury, rather than just property damage.